Three students who gave their lives when a gunman opened fire inside a Florida high school will be awarded Medal's of Heroism by the U.S. Army, a spokesperson told Scripps station WFTS in Tampa. According to the U.S. Army, "The Medal of Heroism is a U.S. military decoration awarded by the Department of the Army to a JROTC Cadet who performs an act of heroism. The achievement must be an accomplishment so exceptional and outstanding that it clearly sets the individual apart from fellow students or from other persons in similar circumstances. The performance must have involved the acceptance of danger and extraordinary responsibilities, exemplifying praiseworthy fortitude and courage." One was presented to the family of Cadet Alaina Petty at her memorial service Monday morning. One was to be presented to the family of Cadet Peter Wang on Tuesday at his service. The third will be presented to the family of Cadet Martin Duque on Saturday during his memorial service. Florida Governor Rick Scott Tweeted about the fallen cadets on Tuesday afternoon saying that he has directed the Florida National Guard to honor the three fallen JROTC members from Marjory Stoneman Douglas High School. 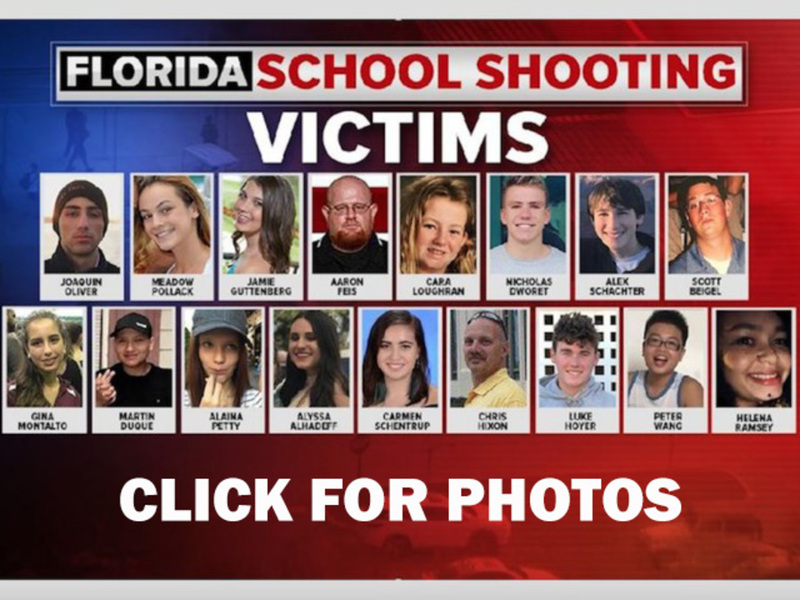 The Florida Guard members "will be attending funeral services and paying respect to these JROTC members, their families and loved ones," Governor Scott said. "Awards for other possible Cadets are going through a review process, to include the two Cadets who were on the news. However, the immediate focus right now is on supporting the funerals with dignity and honor, so deserved by these Cadets and their families," the spokesperson told WFTS.